ebisu green glassEbisu green glass Office Bldg. 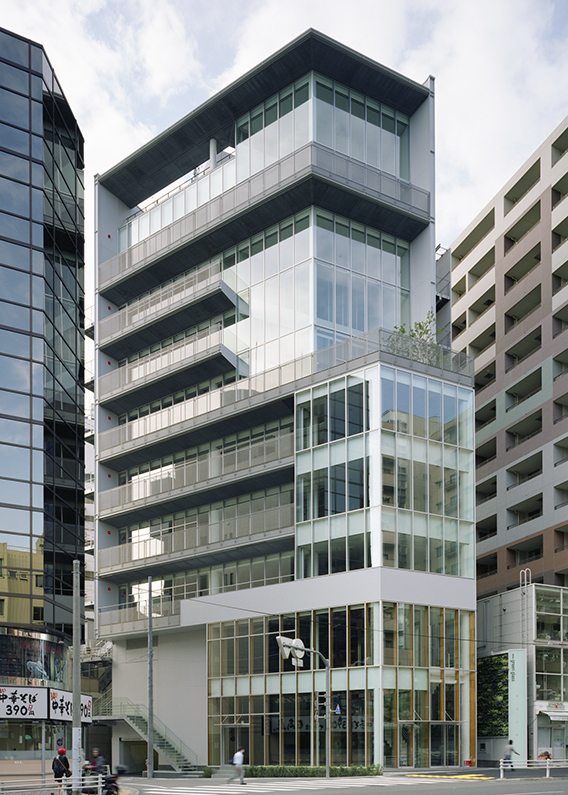 “ebisu green glass” is a building designed to create minimal environmental impact in all stages from construction through daily use, while also serving as a highly versatile workspace. The design makes optimum use of the irregularly shaped building site, and calls for a façade of urban scale intended to minimize thermal load while providing separate strategies for the various directions: the high thermal load of the western side, the strong sunlight of the eastern and southern sides, and the stable supply of daylight on the northern side. 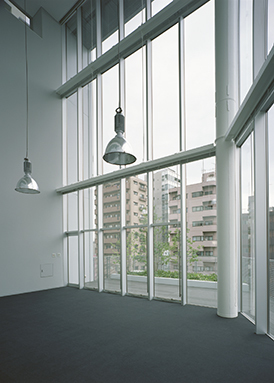 Another defining characteristic is the active incorporation of external areas into workspaces, a feature rarely given much thought in tenant office buildings in Japan. Terraces and areas of greenery on each floor not only provide shade, but also give workspaces a spacious and emancipating feel not readily attainable in normal office buildings, in which non-opening windows often surround the occupants. Interior spaces are similarly open and environmentally progressive, employing a more advanced version of conventional double skin construction as well as “eco voids” for reduction the volume of air conditioning use, empty spaces that help facilitate communication, and encourage relaxation. 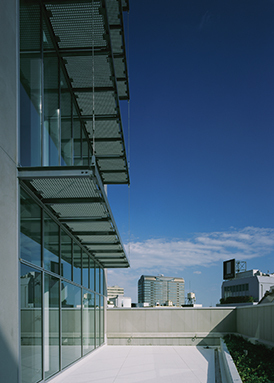 The lowest two floors are intended for commercial tenants and feature eye-catching and well-proportioned elements that emphasize the building’s ecological message, such as wood and aluminum combination sash curtain walls and large-scale greenery-covered “green walls,” as well as a carbon counter displaying the building’s volume of CO2 emissions.